Celebrate Tombow's 100th anniversary with this limited edition Centennial Ultra rollerball in two new finishes. Bronze or red anodized brushed aluminum takes the traditional Ultra cigar shape. A soft rubber grip is easy to hold. Inside, the Ultra rollerball resides the ever-popular Tombow liquid rollerball refill, available in extra fine, fine or medium point; black, blue or red ink. Our customers are addicted to Tombow rollerball refills so we always have plenty ready to ship. 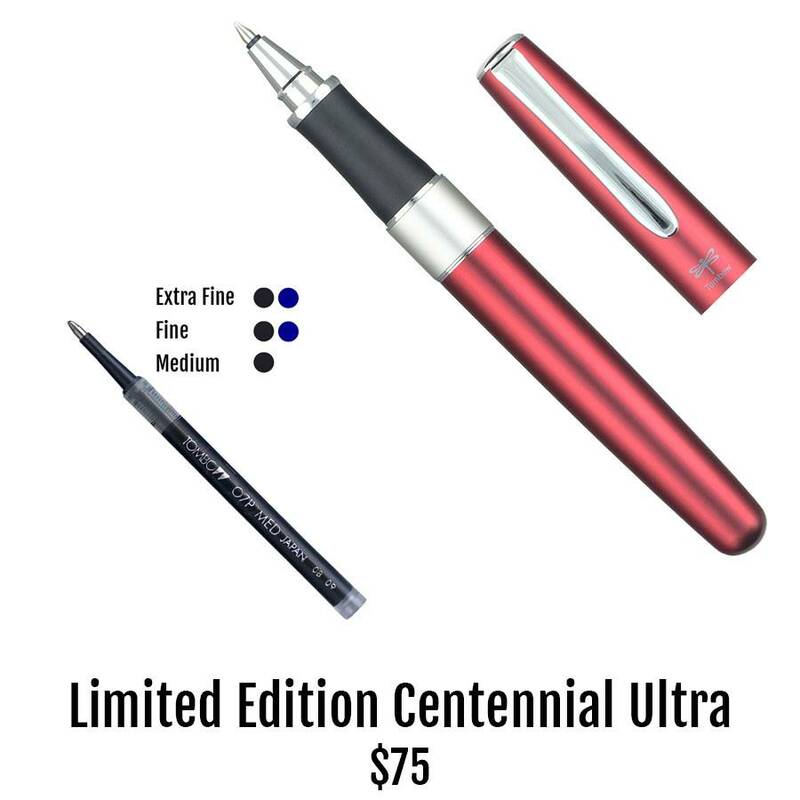 Quantities of this special Ultra pen are limited though, so stock up today!